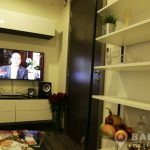 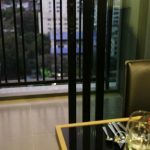 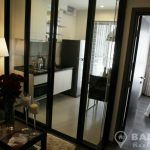 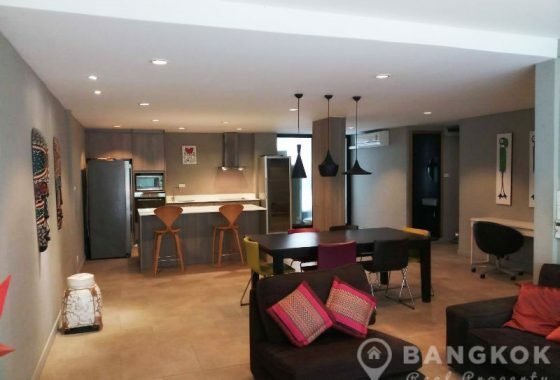 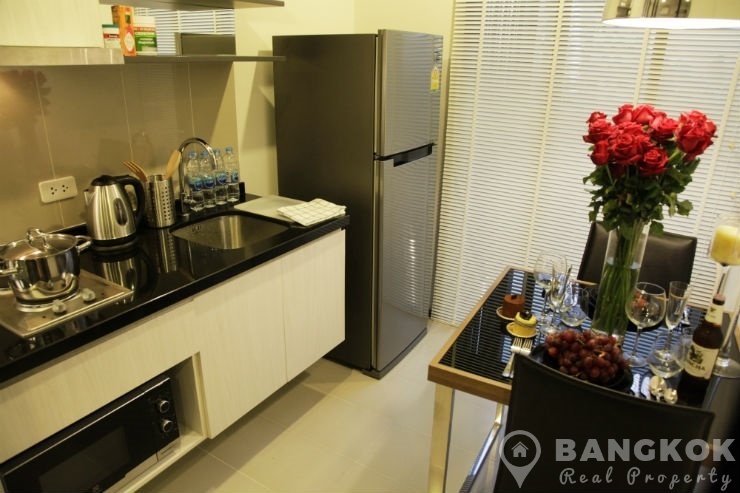 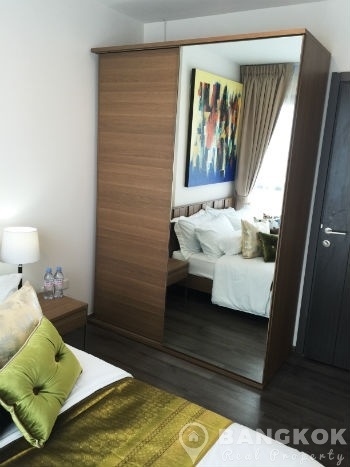 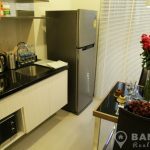 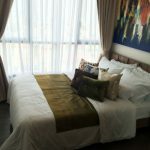 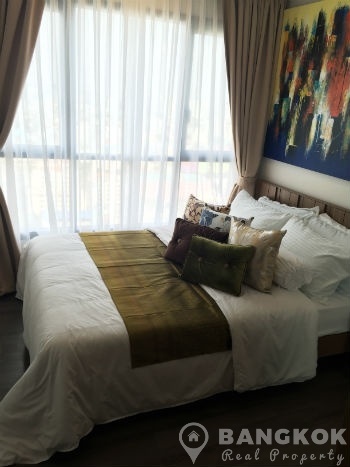 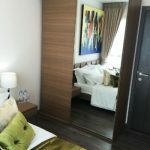 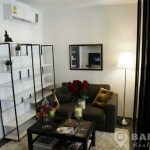 A bright, modern 1 bedroom condo is now available to rent at The Base Park East superbly located just off Sukhumvit 77 in On Nut and within easy reach of On Nut BTS station. 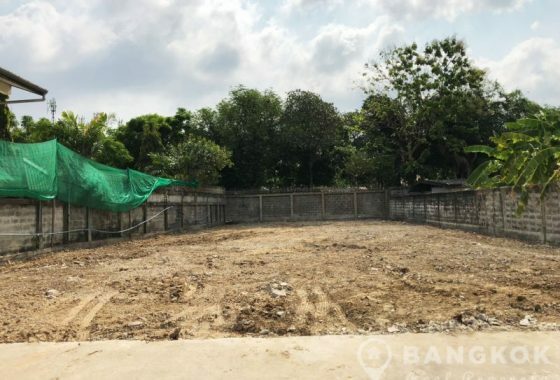 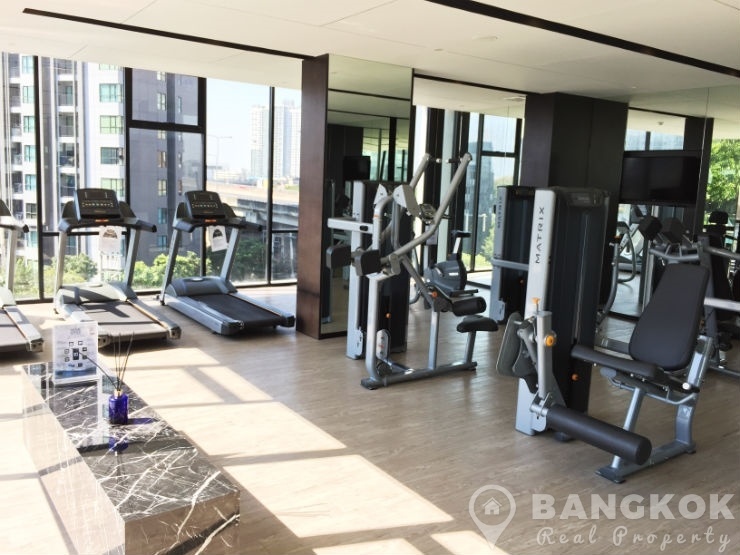 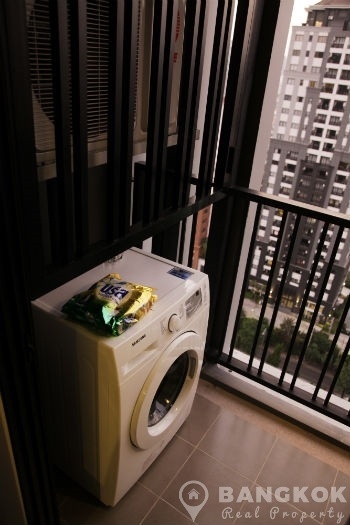 This high rise condo development just completed in 2015 by Sansiri offers residents a host of facilities and its location with great amenities near at hand. 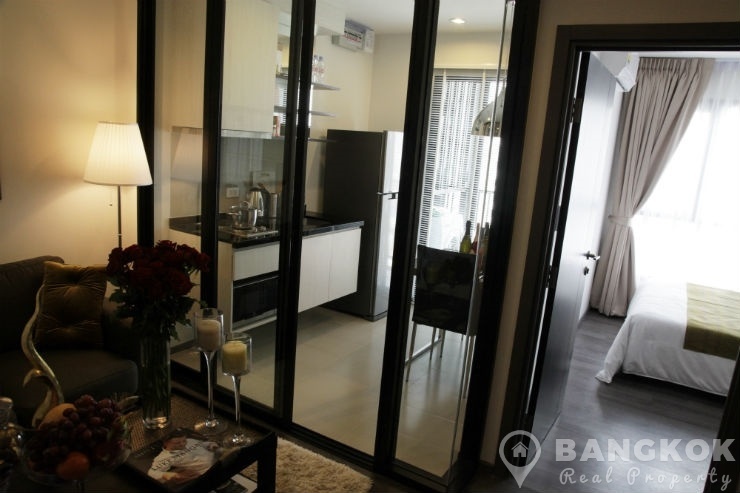 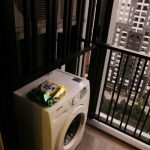 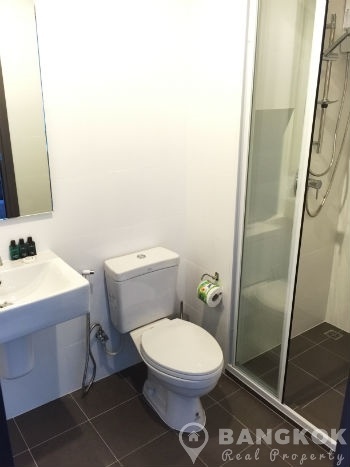 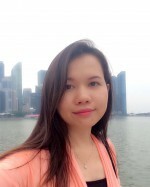 Amenities include Tesco Lotus, Big C, Tops market, On Nut Fresh Market, many schools including Bangkok Prep International School and Bangkok University. 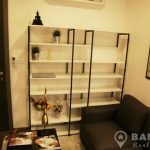 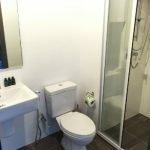 Situated on a high floor of The Base Park East this brand new condo has 1 double bedroom, 1 modern bathroom and 31 sq.m of living space with balcony. 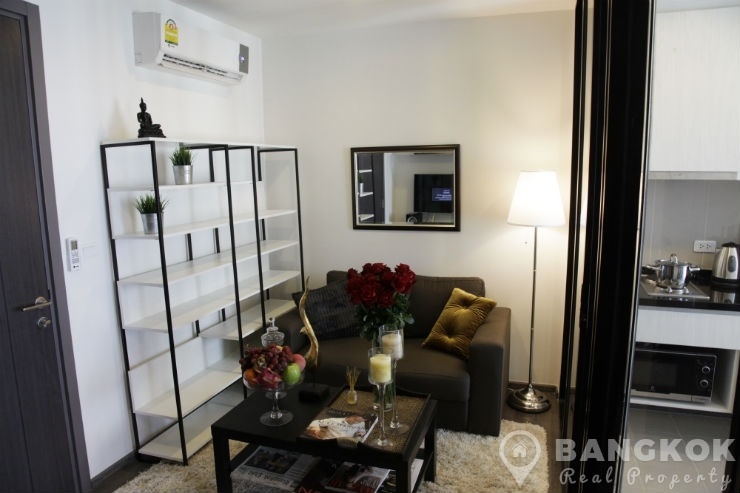 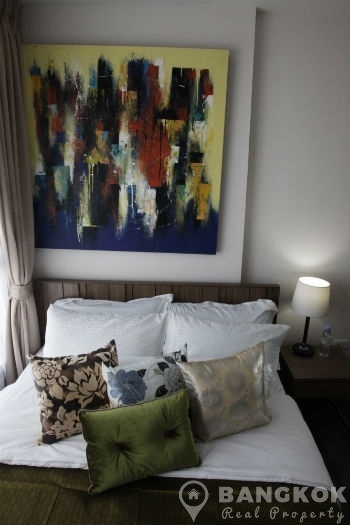 The unit comes fully and tastefully decorated like a “show unit” using top quality furniture and appliances. 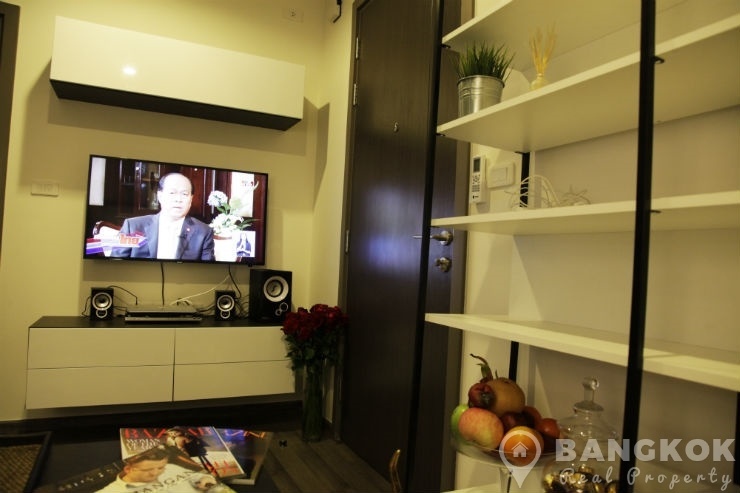 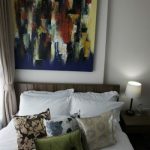 The unit has wooden floors throughout, LCD TV in the livingroom and bedroom and is set up for WiFi internet. 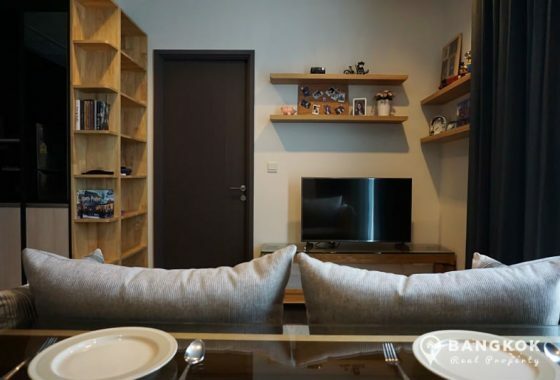 The Base Park East Sukhumvit 77 is a condominium project, located just off Sukhumvit 77 within easy reach of On Nut BTS station. 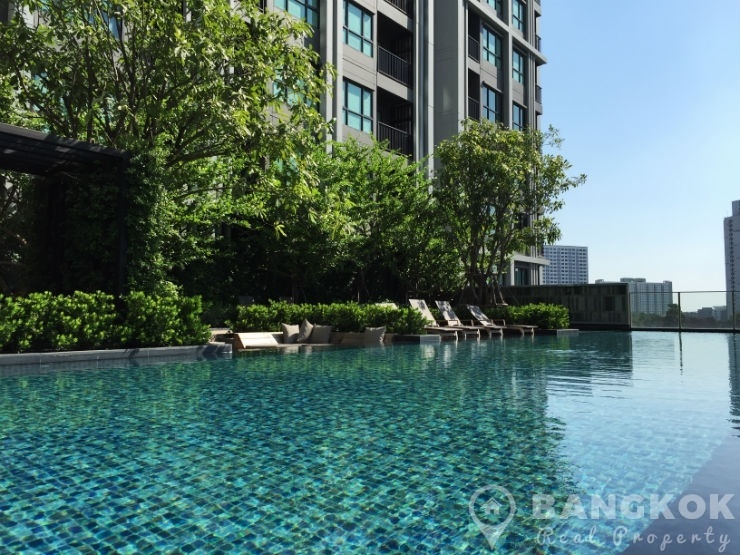 Developed by Sansiri, The Base Park East Sukhumvit 77 was completed in 2015 and the project consists of a single building with 28 floors with 504 units.